Candidate should be responsible for Responsible for design of rooftop / ground mount solar power plant, Hands on experience of PV Syst, Autocad, ETab, Sunny design, SOLAR GIS etc. Perform detailed engineering activities to deliver site execution drawing and preparation of BOQs, Technical Specification, and Cost Estimates. Preparation of electrical SLDs, sizing calculations of cables, busbars etc. AC/DC electrical system, cables, LT-HT switchgears, transformers, Solar Inverter stations, string Monitoring boxes, PV Modules, battery chargers, system understanding on power generation, protection & evacuation substation, transmission lines, National Grid Codes, Electrical Codes and Standards, Review and finalization of Electrical drawings, Project design planning, on time submission and record keeping. Perform estimation related to presales & post sales engineering of PV Projects, Assist in bid finalization, getting approval on design and drawings from client, Preparation of design report for submission to client, Coordination with site team for successful commissioning of equipment, Coordination with BD Team for Technical Support, Must have excellent communication and presentation skill. 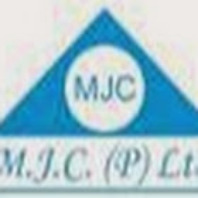 Metro Jobs Consultancy is one of the India’s leading Manpower Recruitment Agencies for domestic services in India . With over 15 years experience we have successfully catered & provided requisite manpower requirement of various Companies in India & to their entire satisfaction since we are a one - source multi-resources organization. We offer a variety of recruitment services on a national and international basis to large & mid-sized companies in the Manufacturing, Wholesale, Distribution, Infrastructure Development, IT, Telecom, Banking, FMCG, Health Care & Service Industries.